By faith, I believe that Icon Nelson Mandela, will live for another quarter century as a gift from God to us. I do not think that it is possible to convey the measure of Mr. Mandela’s hurt and despondency at any comprehensible human level. The hurt that Mandela suffered at the hands of his subjugators who may have vehemently propagated malfeasance out of arrogance and ignorance, may have seemed like perpetuity to Mandela. This type of hurt that embodies hopelessness, despair, anguish and the likes; can only really be felt by the sufferer and his Creator. It seems apparent that Mr. Mandela had the foresight to look upwards with “blind faith” at these pivotal times, which allowed his fears of pestilence and dolorousness to be placated by God’s mercy and grace. 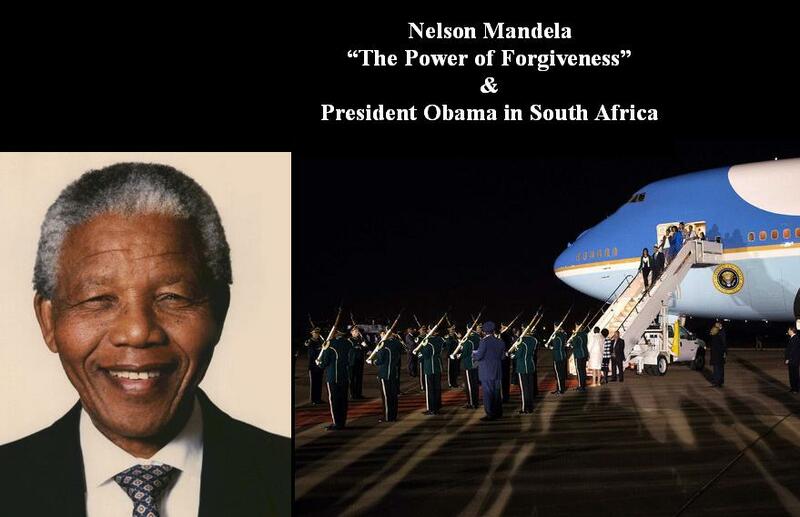 We should be ever so thankful this day for the blessings of God’s forgiveness that He imputed into Nelson Mandela that made Mr. Mandela, the person that he is! And so, if we too would look upwards with “blind faith,” we may begin to understand the mysteries of God’s mercies that would allow us to see that today’s sorrows become tomorrows joy; today’s failures are tomorrows successes; today’s hate turns into tomorrows love, and all of our weaknesses are transformed into Samson’s like strength. It is then we would come to realize that in the like manner that man uses fire to refine Gold, God does the same in refining His souls! I am a father too and I understand your pain, but, your son did commit treason and he is a coward! I understand your pain as a father because I have four children, however, your son “did” commit TREASON. By what other name can you call someone who steals information and give it to our enemies. 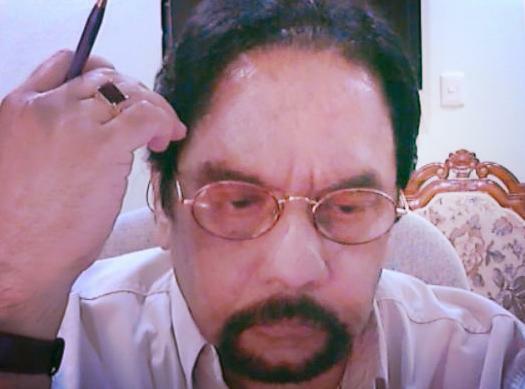 We have associations with China and Russia because it is necessary to maintain stability in the world, but, it would be difficult to conclude that China and Russia is on our side. Your son took a job that was paid for by the Tax Payers and if he had difficulties with what the NSA was doing, he could have resigned and go to an Attorney or to the Public via the Media, just like what the coward did when he ran away to Hong Kong. 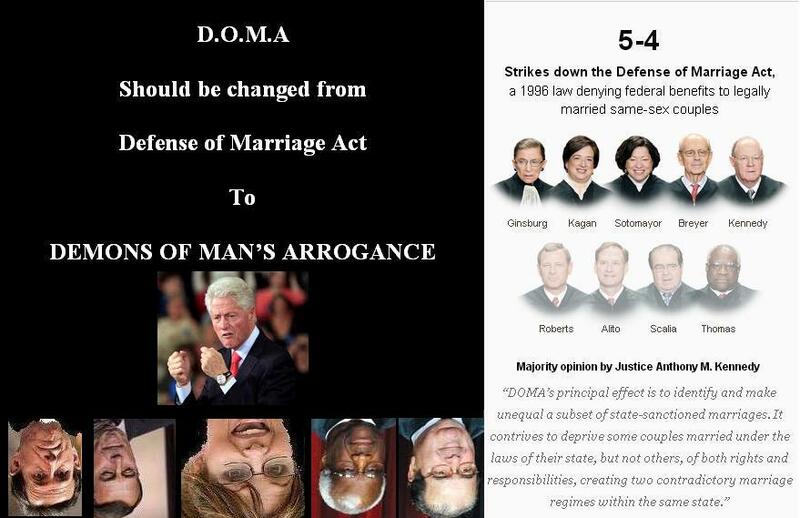 DOMA should now be defined as; DEMONS OF MAN’S ARROGANCE! And today, June 26 2013, as the United States Supreme Court in a 5-4 vote struck down DOMA, some of the wretched mortals from 1996 and new additions, are still perpetuating discrimination against American Citizens, solely because they are Gays and Lesbians. 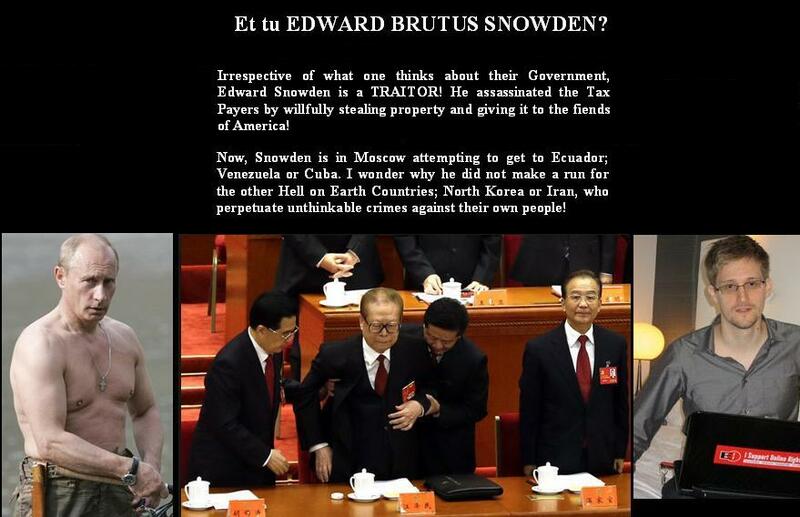 Et tu EDWARD BRUTUS SNOWDEN? Irrespective of what one thinks about their Government, Edward Snowden is a TRAITOR! He assassinated the Tax Payers by willfully stealing property and giving it to the fiends of America! Edward Snowden is a traitor who has forfeited his right to Due Process! Edward Snowden took a salary at the tax payers’ expense of $200,000.00 annually and illegally copied and gave to foreign Governments, vital classified information! Of all the places to run, Snowden ran to Hong Kong which is only Quasi Independent but wholly owned by China, whose practices is to steal vital information from United States Business and Sensitive Governmental Information, with no regard for Domestic Law for their own people and no respect for International Law. It is quite amazing how so many people including some Americans have the nerve to call Edward Snowden a HERO! It was only fitting to charge him with Espionage as he runs from country to country. Quasi Independent Hong Kong couldn’t keep Snowden because it would affect the Chinese Economy. Now, Snowden is in Moscow attempting to get to Ecuador; Venezuela or Cuba. I wonder why he did not make a run for the other Hell on Earth Countries; North Korea or Iran, who perpetuate unthinkable crimes against their own people! If Edward Snowden had one ounce of decency in him, he could have quit his job and hired a Lawyer to address his concerns. But, stealing information that the Tax Payers paid for and giving it to people who privately and publicly projects such disdain for the United States, I do hope he is caught and brought back to America where he should spend the rest of his natural life, in Federal Prison. Irrespective of how you feel about the NSA program, if you are truly an American, you couldn’t possibly support this weasel! Pain and the human heart! And since the pain of the mind is worst than the pain of the body, we must go back a little way to the choice mercies of yesterday; and though all may be dark now, we must light up the lamps of the past; they shall glitter through the darkness and we must trust in the Lord, till the day break and the shadows flee away. It is not what happens to us in life that defines who we are, but how well we rise after we fall. 838,000 people were slaughtered in Rwanda and Bill Clinton did not do anything. In his Presidential Memoirs he issued lots of apologies but that couldn’t bring back the dead! The night before going to a court hearing for the lies he told in regards to Monica Lewinsky, Bill Clinton was warned by his military advisors that they did not have any proof that the Pharmaceutical Plant in Sudan was owned by Osama Bin Laden, but, “wag the dog” Clinton bombed the plant and killed 101 innocent people. 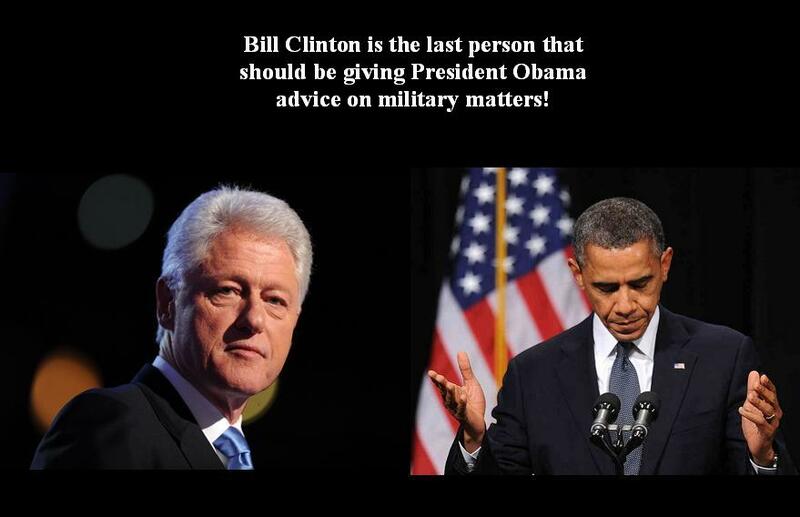 Mr. Clinton has no business lecturing Obama or anyone about “matters of war and peace.” I think that Obama has kept a steady hand on our foreign affairs. 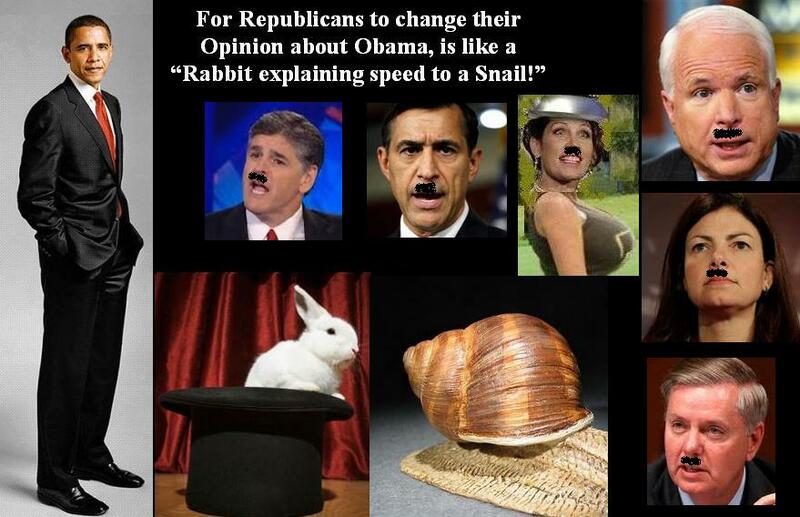 He got us out of Iraq and is winding down the war in Afghanistan. McCain and others whined about Obama leading from behind in Libya, well, whether Obama lead from behind or in front, we successful got rid of a Dictator that baffled all of the previous Presidents, going back 42 years, and we did so without the loss of any American lives.